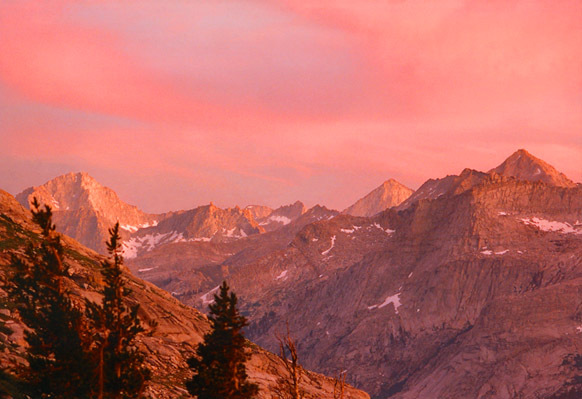 Here is another view of the divide, this time from Nine Lakes Basin at sunset. What do they say, a red sunset means rain is coming?? Well, the next day it snowed, even began sticking to the ground after a while, and this was in early August. Up here in the high country July is the only month where I have not seen it snow.